Sadie Whitaker is determined to be a good daughter, but her stepmother, Rachel, has made no secret of her overwhelming jealousyor her desire to get Sadie out of her life. Rachels latest plot involves marrying Sadie off to a widower in need of a mother for his unruly childrenand she has convinced Sadies beloved father to agree. 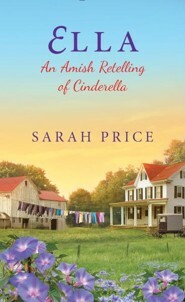 Left with no choice, Sadie flees her small Amish hometown of Echo Creek. Planning to hide in a nearby forest, she stumbles across a house that belongs to the seven Glick brothers. All outcasts from the Old Order community of Echo Creek, they generously agree to let her stayand for the first time in ages, Sadie feels safe and needed, keeping house for them as any good Amish woman would do. Until, that is, the Glicks handsome cousin comes to visit. For though he awakens her hearts desire, she cant risk revealing her true identity, until love and faith give her the courage to take a chance on happiness . . .
Sarah Price comes from a long line of devout Mennonites, including numerous church leaders and ministers throughout the years. Her involvement with the Amish dates back to 1978 when she wrote her first novel, Fields of Corn, while studying anthropology and writing at Drew University. She was drawn to the amazing culture of the Amish of Lancaster County where Ms. Price is involved with numerous Amish communities and is considered family by some and friend by most others. 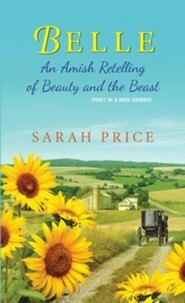 First Impressions, A Retelling of Pride & Prejudice, Sarah's salute to Jane Austen from an Amish perspective, debuted on the ECPA bestseller list Ms. Price has advanced degrees in Communication (MA), Marketing (MBA), and Educational Leadership (A.B.D.) and was a former college professor. She now writes full-time and talks about her books and her faith on a daily live stream with readers. Learn more about Sarah and her novels at SarahPriceAuthor.com. 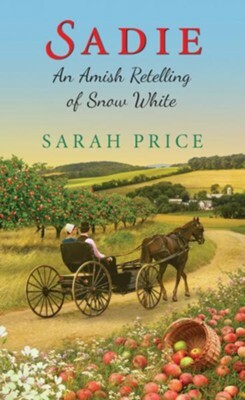 I'm the author/artist and I want to review Sadie: An Amish Retelling of Snow White / Digital original - eBook.